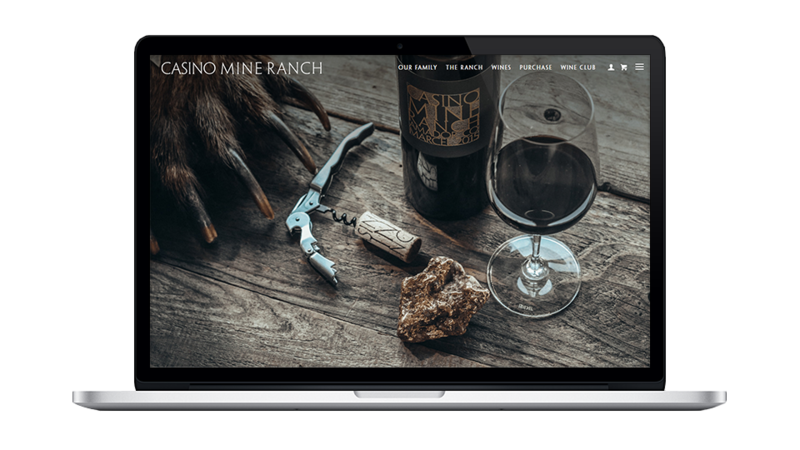 Casino Mine Ranch is an estate vineyard located in the Sierra foothills of Amador County. The winery—a century old ranch that was once mined for gold—is owned and managed by fourth-generation California brothers, Jim and Rich Merryman. The vineyard is planted and farmed to best harness the potential of the site, through thoughtfully selected grape varietals. Recount the compelling history of the Merryman family at Casino Mine Ranch. Represent the wild, irreverent, yet cultured nature of the brand. Underscore the rarity of these unusual wines, vinified in Amador County by one of the nation’s foremost winemakers. Encourage membership in the Founders Club and facilitate eCommerce sales. interface that is responsive on both mobile and desktop. Working with the Vin team was a dream. Jon, Annie, and Katherine were incredibly professional and responsive. Between Jon’s creativity and WordPress savviness and Katherine’s clever and informed copywriting our website is easy to navigate, tells our story, looks beautiful, and is something we’re really proud to show off to our guests. Vin continues to help us with questions as we add and make changes to the site. 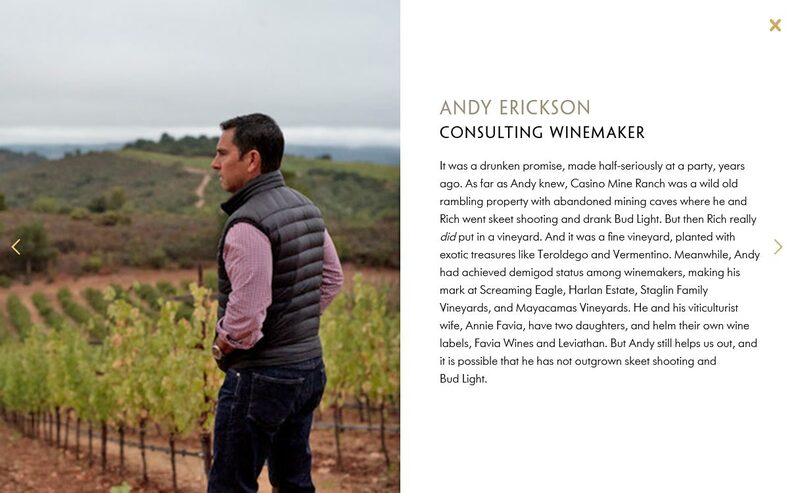 I’d work with them again in a heartbeat and recommend anyone to use this team to tell their wine story.